A sundial seen next to the railway station Mistelbach – Stadt. The sundial placed at a private building shows regional agricultural products. 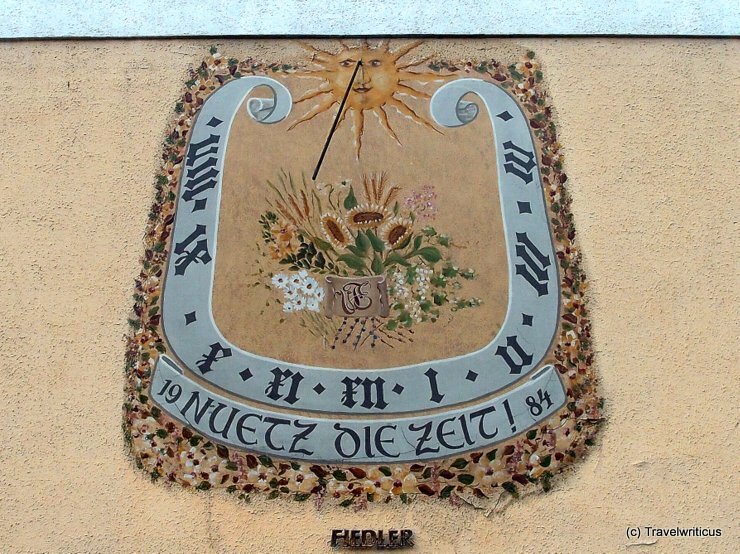 The German phrase ‘Nuetz die Zeit!’ reminds people to use their time carefully. This entry was posted in Sundials and tagged Austria, Lower Austria, Mistelbach, Weinviertel by Travelwriticus. Bookmark the permalink.